The Scotty 4056 is an easy to use device that creates a thin wall of water to help cool and protect structures. 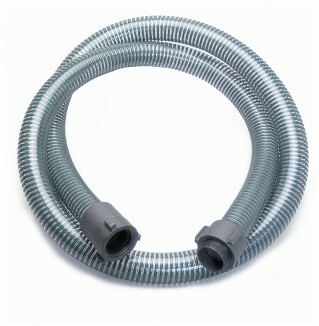 The user simply attaches the Squall wall to a water supply hose end, secures the fitting to the ground and starts the flow of water. The small, angled ramp helps direct the water flow up through the opening vent. Depending on flow and pressure, the Squall Wall can create a wall of water up to 40 feet wide and 20 feet high. 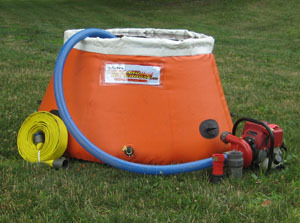 The Squall Wall can be secured to the ground with a spike or to a plywood plate for fast deployment. It can also be pre-positioned and permanently mounted on rooftops, gantires, even in trees. Coupled with 1-1/2″ female NST. – Structure protection prior to the approach of fire. – Safety zone protection site in the event of burn over. – Create a barrier to protect unit crews and apparatus in the event of fire flashover. – Wetting down helicopter landing pads. – Wetting for dust control.